NASHVILLE – A man from Knoxville who was added to the Tennessee Bureau of Investigation’s Top Ten Most Wanted list on May 19th was arrested Tuesday afternoon in Chattanooga. 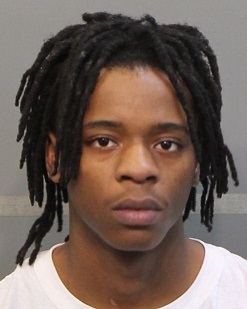 Marquez Travell Billingsley, 18, was taken into custody by Agents with the TBI, U.S. Marshals and officers with the Chattanooga Police Department. The apprehension was made during a traffic stop at the intersection of Dodds Avenue and East 23rd Street. Billingsley was wanted by the Knoxville Police Department and the TBI for aggravated assault, carjacking, aggravated robbery and possession of a stolen weapon. Billingsley is also a person of interest in the shooting death of 12-year-old JaJuan Latham that occurred on April 16th.